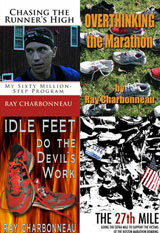 Home » Blog » Books » “R is for Running” ebook now only 99 cents! 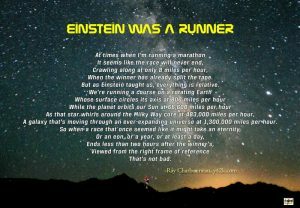 “R is for Running” ebook now only 99 cents! 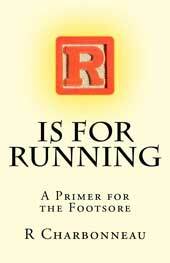 “R is for Running” is now available as an ebook for only 99¢! Wow! That’s less than 4¢ a letter! When I published my first book, “Chasing the Runner’s High”, Amazon had two royalty plans for ebooks published through their Kindle Direct Publishing program. One paid 35% and one paid 70%. It looked like a no-brainer. Who wouldn’t prefer to get 70% of the price of each book sold instead of 35%? The main restriction was that I had to set the list price of my ebook between $2.99 and $9.99 to qualify for the 70% program. Amazon controls about 70% of the ebook market. They set the rules and everyone else follows. So there are a lot of ebooks out there priced at $2.99. On the other hand, most of the success stories in ebook self-publishing that I’ve heard about have come from authors who priced their book at 99¢. I like to experiment. 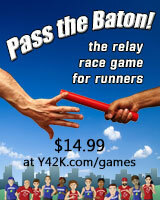 When I first published “Chasing the Runner’s High“, I set the price at $7.99 at Amazon and other retailers. On my own web site, I allowed readers to set their own price for the ebook. The suggested price was $5, but if they wanted, they could get the book for free. A few people paid more than $5 (thanks! ), a few paid less, and very few chose to download the book for free. Most paid the suggested price. My sales increased after I set a fixed price of $2.99. Part of that was because of the cumulative effect of my efforts to get the word out, but I’m confident that the lower price helped at least as much. People could have gotten it for less before, but the fixed price seemed to make them happier. I just published my second book, “R is for Running“. I set the price for the ebook at $2.99 and started the marketing grind. Then I had second thoughts. What if I cut the price to 99¢? At that price, my royalty is only 35%. I’d have to sell about five times as many books at 99¢ to make as much as I would by leaving the price at $2.99 and keeping the 70% option. Time for a reality check. Let’s say I sell 500 copies of my ebook at $2.99. That would be pretty good – most self-published books don’t sell that many copies. At 70%, I make about $2 per copy, maybe less. So that’s $1000, which is nice but not enought to feed the cats, let alone Ruth and I. To make real money, I have to sell more books. A LOT more books. And that’s more likely to happen if the ebook costs 99¢. It’d be nice to sell enough books to make a living at it, but no matter what price I set it’s still like playing the lottery. I might win big, but I probably won’t. But even though I’m not getting rich, I still enjoy getting my words in print, whether on paper or in landfill-saving electronic formats. And I love to hear from happy readers. At 99¢, I hope I’ll have a lot more of them.